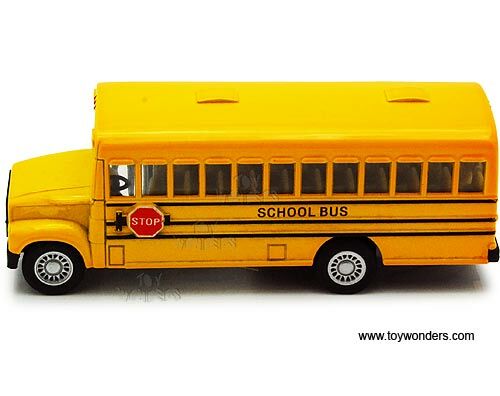 5107D Kinsmart - School Bus. 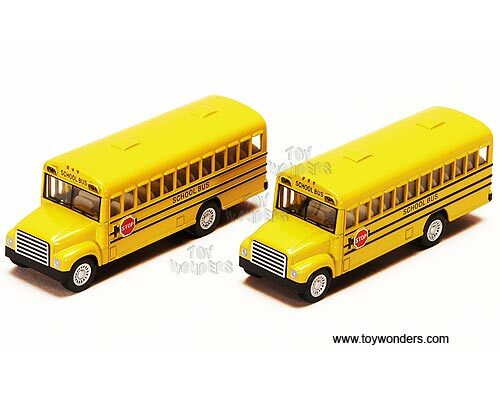 5"L x 1.5"W x 1.75"H diecast metal yellow school bus with openable door & pull back motor action. 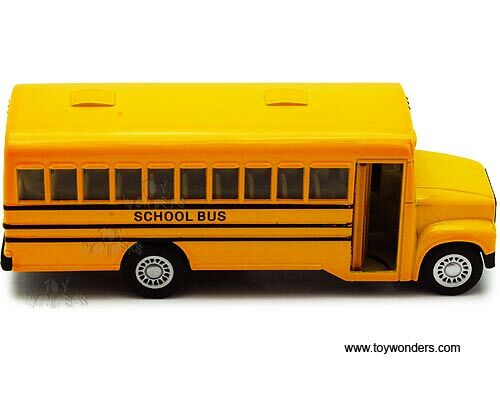 This yellow school bus is manufactued by Kinsmart. 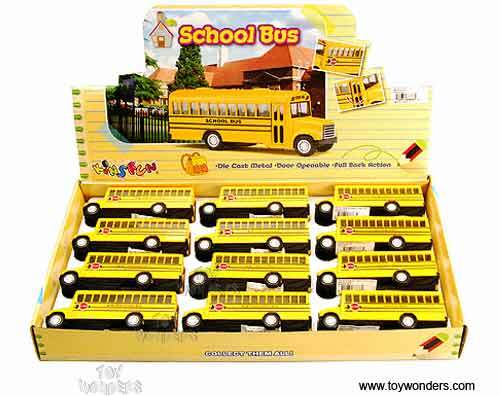 12 pcs per display box.